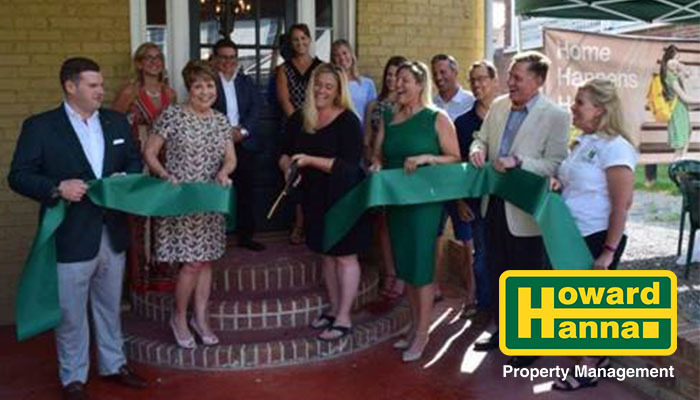 Lexington, VA (July 29, 2018) – Howard Hanna Property Management’s Southeast Division, based in Virginia Beach, has announced a joint venture with Valley Roads, LLC and owner Bruce Schweizer in Lexington. A grand opening celebration was held at the office, located at The Dutch Inn, on July 13th. Located at 114 Washington Street in the Downtown Lexington Historic District, The Dutch Inn was renovated in 2007 and converted into apartments. In addition to the Howard Hanna Property Management office on the street level, there is a grocery store and restaurant onsite. Melissa Hennis has been named Managing Broker of the Howard Hanna Lexington office. She previously was with James River Realty and has been in the real estate business for 12 years. To contact Howard Hanna Property Management in Lexington, please call 540-319-6140; to contact Howard Hanna Property Management in Virginia Beach, please call 757-499-5688; or visit HowardHanna.com/property-management.